Lock in a great price for Het Weeshuis – rated 8.9 by recent guests! Wonderful breakfast, very friendly lady, big room w/ separate bathroom. Very friendly and accommodating staff, pleasant location in the midst of town, with a nice garden in front. Spacious and tastefully decorated suite; sitting room with modern decor and stylish lighting. Rooms set around a pleasant garden. Relaxing and very pleasant atmosphere. Located near the centre of a bustling town. Breakfast buffet with quality food items and great coffee. Parking on site. A beautiful building in an excellent location. The room had a seperate seating space with access to outside. Beds and chairs were very comfortable. An extensive breakfast in a well decorated space . We will definitely go back. very nice, very clean, a lot of charm all details and decoration. the breakfast was very very good, with high quality products. in general I liked it very much. They have a privet parking spot for our motor bikes. They have a F@B table for snacks and drinks including wine. Otherwise, the property was lovely, great value for money as we had a double family room which meant that a friend could stay in the other room. The donkeys and the sea-saw in the back yard was a nice touch - I would stay again if coming for the Tall Ships event in Harlingen again! Its also really nice just to get away from The Hague for an overnight stay. Het Weeshuis This rating is a reflection of how the property compares to the industry standard when it comes to price, facilities and services available. It's based on a self-evaluation by the property. Use this rating to help choose your stay! 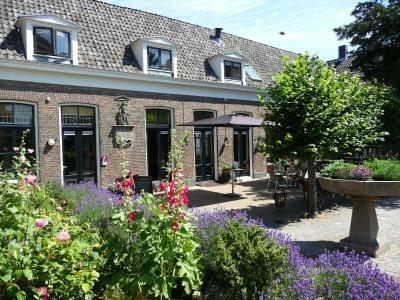 Het Weeshuis is located in the city center of 'Hanzestad' Bolsward and offers accommodations set in a monumental building and former orphanage. Each room at Het Weeshuis features a bathroom and seating area with a separate bedroom. Guests have access to a private living room. They can make use of a spacious garden with donkeys. Guests can also make use of the terrace. Breakfast is served daily in the restaurant, and includes fresh, local specialties and eggs from own chickens. The restaurant serves a set 3 course dinner several days per week, table d'hote style. The 3 courses are different every day, and made with fresh produce. Guests can also enjoy drinks and small bites at the honesty bar. 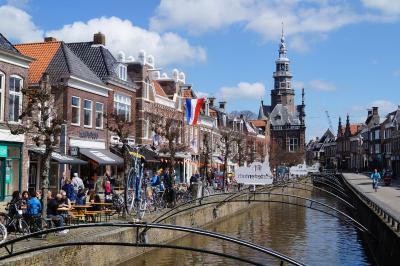 From this accommodations, guests have the possibility to visit the '11 Cities', such as Sneek and Harlingen. The area is popular for cycling. Beer brewery Us Heit is located at a distance of 1,650 feet from the property. 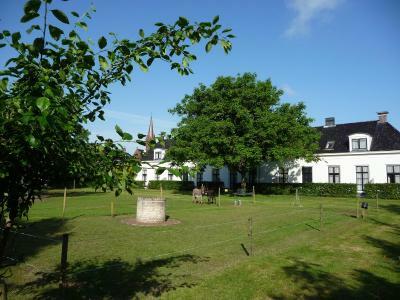 This property also has one of the top-rated locations in Bolsward! Guests are happier about it compared to other properties in the area. When would you like to stay at Het Weeshuis? Features a seating area and bathroom with a bathtub. This suite features a private terrace with direct access to the garden. It also features a bathroom with a bathtub and a separate living room. Features a bathroom with bathtub. Please note that this room can accommodate up to 4 guests, 2 adults and 2 children between the ages of 3 and 14. House Rules Het Weeshuis takes special requests – add in the next step! ATM card Het Weeshuis accepts these cards and reserves the right to temporarily hold an amount prior to arrival. Het Weeshuis accepts these cards and reserves the right to temporarily hold an amount prior to arrival. Dinner reservation is recommended at the restaurant. Please note that the accommodations serves dinner on several days per week. When guests would like to enjoy dinner, it is requested to make a reservation on forehand. Very little signing - locating reception on arrival was not obvious. Bathroom fuctional but fittings a little dated - could be brought into line with the stylish rooms. Did not have the opportunity to sample the evening meal/dinner. Very smelly bathroom, no cups or cutlery, paying for small parking with narrow entrance and open entry (not locked). Nothing we disliked but would have preferred access to coffee and tea outside breakfast hours. no elevater to lift the suitcases in the upper rooms, the bathroom was very small. The blind whiskey tasting at the Distillery Us Heit in Bolward. It is a shame that the rooms do not have air-conditioning. Our room faced the sun in the mornings and it was extremely hot both during the night and in the morning. Also, it would have been nice to have a choice of eggs in the morning, not just boiled eggs. More fruit selection would be nice too and please offer a soya milk or almond milk alternative for non-dairy drinkers. the wi fi not so strong but explained due to the old building the signal is weak, so you could sit outside in the garden if need be . Bed with bottom sheet that did not fit, no desk, poor lighting and wooden chairs that are a pain in the ...! Breakfast only starts at 08:00 which is a bit late for guests on staying on business. Personnel not always on hand in the breakfast room to timely replenish coffee. Cups without handles are not a good idea - burns your fingers. Good coffee! Historical location with pretty gardens. Niet dog was welcome and iT was very cosy even of we were the inkt quests. Frankly there was nothing I disliked much. If I am required to list a few, I wish the check-in time could be earlier. Besides, the car park is not big and not free. You probably don't have a parking slot if you come too late. Very lovely place to stay. Comfortable room at reasonable rate. The host was very friendly. There was nothing I disliked much. Chef’s choice dinner at set time was fabulous, and an opportunity to meet the other guests.